A uniting church of the Presbyterian Church (USA) and the Christian Church (Disciples of Christ). Site includes information on church staff and officers, location, worship services, sermons, and programs for all ages. Information about a beautiful hundred year old San Lorenzo Valley church which lists current activities, Services, church history and photographs of church stained glass windows. An independent christian church which maintains ties with both the United Church of Christ (UCC) and the Presbyterian Church (USA). Offers a photo, worship times, contact details, address. Spiritualist church Nanaimo British Columbia. Church services every second and fourth sunday of the month. A nonprofit,christian,spiritualist church. Offering a church calendar and directions to the church. It contains the seven principles of Spiritualism. American Baptist church. Church and denomination history, the current character of the church, values, purpose, ministries, and meeting times. This group works for an inclusive Church, and wants to see women taking their place alongside men at every level in the Church, and to help the Church become the community of equals which Jesus calls us to be. Church planting support organization from New Life Christian Church in Centreville, Virginia, offers administrative and project management services to church planters. This is an evangelical church on Sydneys north shore which has a Korean congregation. Provides comprehensive information about the church and its ministries. Audio sermons in .ram format. Virtual tours of the church in Quicktime movie format. News, contact details, online guide book, service times and picture galleries of the congregations who use a 1982 building owned jointly and shared by the Church of England, the Roman Catholic Church and the Methodist Church. Live chat room, forum, and articles on how to start a home church and comparisons of home church to traditional church. Includes services schedule, church history, staff biographies, church covenant, softball team and photo albums. A member church of the Southern Baptist Convention. An ecumenical church plant in 1994 with Church of England, Methodist and United Reformed Church roots which meets in the Woodley primary school. Services, events, youth and children, activities, newsletter and prayer. Part of the Reading and Silchester circuit. 24 Dabney Baptist Church Holton. Holton. Contact information, service schedule, church calendar, and history of the church. Information on church events and services, directions to the church, and a history of the congregation. About the church, recent news, words from the pastors, calendar, and links to church programs. Helps your church manage church data including people, donations, events and church programs. If the business hours of First Baptist Church of Lorain in may vary on holidays like Valentine’s Day, Washington’s Birthday, St. Patrick’s Day, Easter, Easter eve and Mother’s day. We display standard opening hours and price ranges in our profile site. 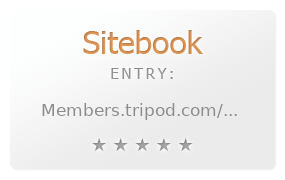 We recommend to check out members.tripod.com/LorainFirstBaptist/main.htm for further information. You can also search for Alternatives for members.tripod.com/LorainFirstBaptist/main.htm on our Review Site Sitebook.org All trademarks are the property of their respective owners. If we should delete this entry, please send us a short E-Mail.